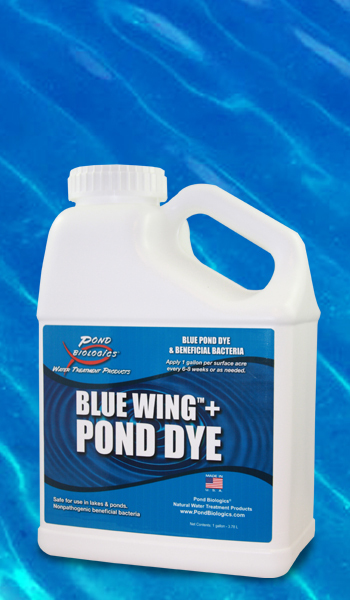 This top quality pond dye comes pre-mixed with a highly concentrated beneficial bacteria product. 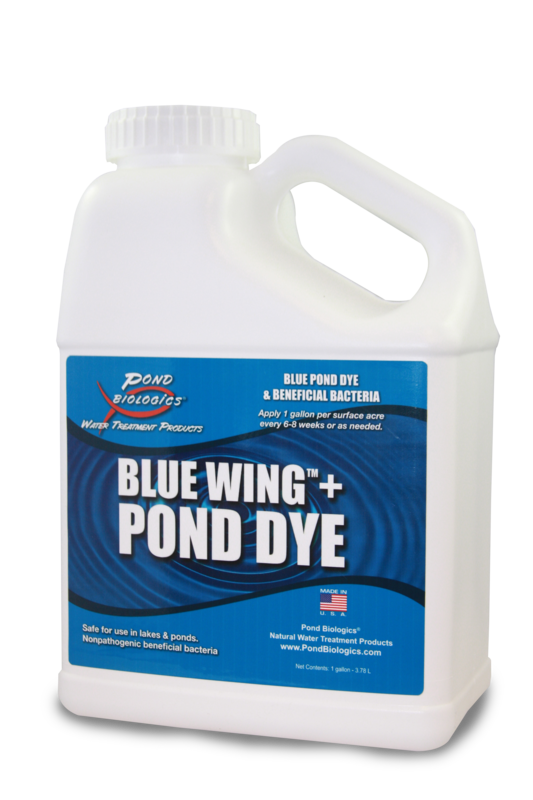 Helping to clarify and reduce organic debris in your pond, while adding the shading and beauty of Pond Biologics™ top quality Blue Wing™ Pond Dye. Apply 1 gallon per 1 surface acre of water every 6 to 8 weeks or as needed.